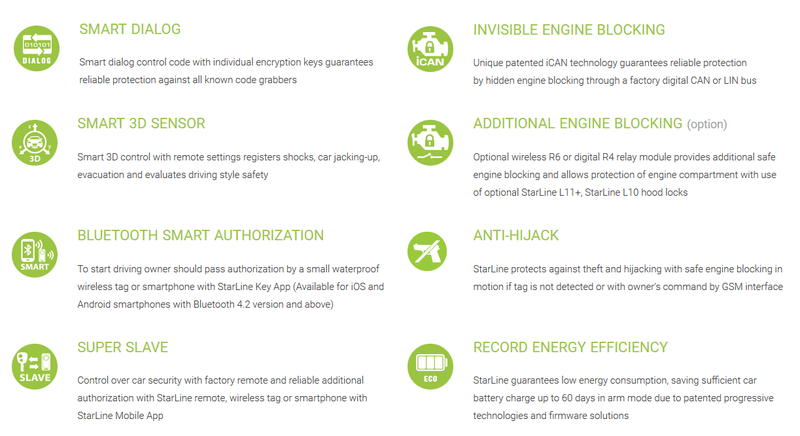 The Starline ADR Online is a fantastic high level alarm, immobiliser & GSM / GPS system. That works very discreetly with your original vehicles remote control or keyless entry system. 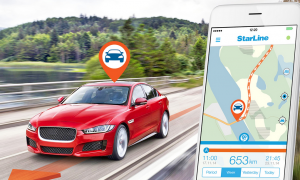 The Starline ADR Online uses Bluetooth or GSM to send all the alerts through to your smart phone via the app. Please note you have to be within normal Bluetooth range of 5-30 meters. 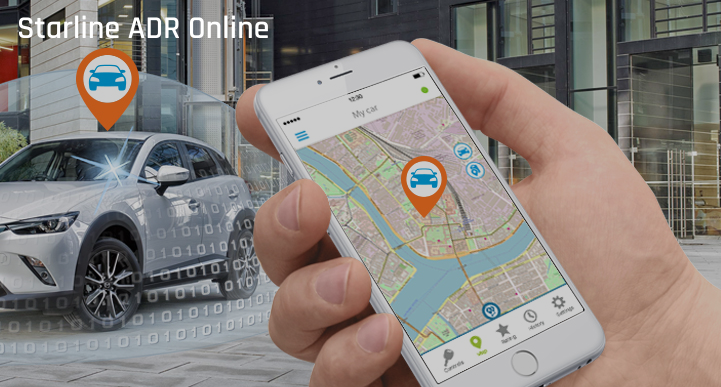 The only part you need to disarm the alarm and immobiliser system correctly is the ADR Tag or your Smartphone. The ADR Tag sits on the vehicles key's and submits a secure signal @ 128bit on the 4.2 Bluetooth wavelength meaning it can't be cloned or key scanned like other alarm products on the market. This system also features a loud 118DB siren for complete piece of mind. The GSM part of this alarm is used to send alerts to your smartphone or call you anywhere in the world. The system can use any universal sim card such as a giffgaff sim. 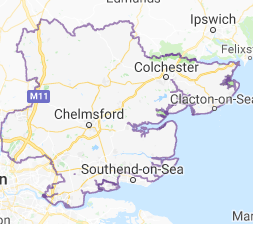 Average top up's required around £5 per month meaning you have a full connected alarm and immobiliser system with a very low running cost yearly. 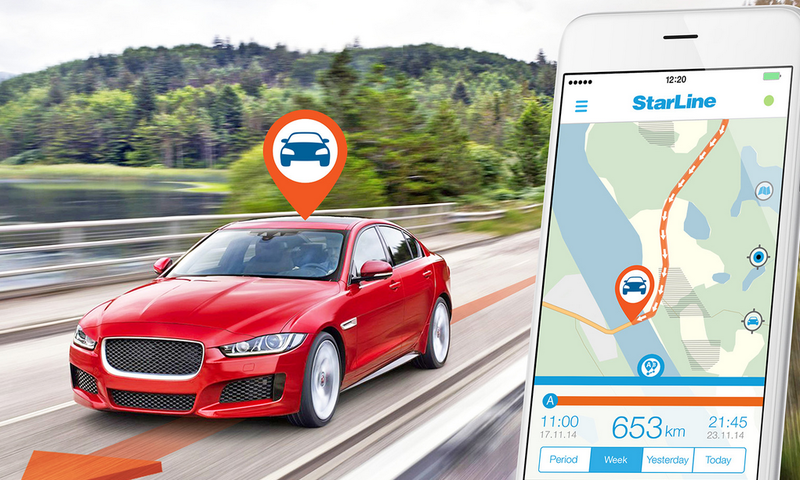 Full GPS tracking to know the location of your vehicle at any time. The Starline ADR Online is designed for the customer who wants the ultimate security encryption to protect their vehicle against car theft and key scanning, but still want the alarm to be controlled by your OEM factory key fob and a minimum of 2x Immobilisation points on the vehicle. Remember Starline features Can-bus blocking* on many of there vehicle alarm softwares. 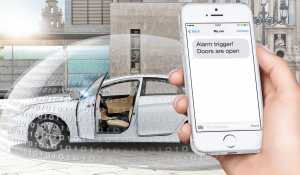 Meaning your vehicle will not only be protected by physical immobilisation cuts but also can-bus blocking data is sent to stop the vehicle being started. 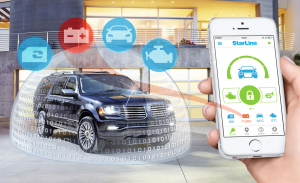 Also includes the Starline Alarm Bluetooth app for smartphone control and alarm adjustment.The Starline Online system works by detecting the Bluetooth ID tags close to the vehicle (distance can be set by the customer from the distance of 1-10m) if the tag is detected close to the vehicle, the tag will allow the system to be disarmed through your factory fob or through your cars keyless entry system ( Providing this tag is detected by the alarm, if not the alarm and immobiliser remain active). No need to carry any extra large key fobs and protects your vehicle from the latest threat of key scanning, Key cloning and RollJam.